There's a loaf for all occasions! 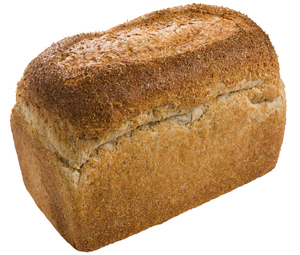 Banjo’s Wholemeal Sandwich loaf is made from stone-ground wholemeal flour and has a lovely soft centre. Baked fresh every day, this classic brown beauty has plenty of goodness and flavour. Contains: wheat, soy, barley, sulphites. May contain: oat, egg, milk. This information is based on specifications provided by suppliers of raw ingredients and based on Banjos Corporation Pty Ltd recipes. 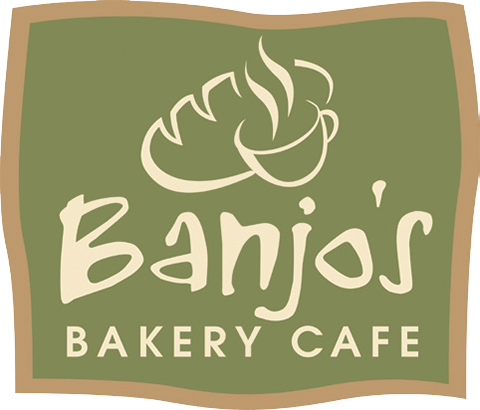 Banjos does not provide any warranty (expressed or implied) regarding the accuracy or correctness of this information or data contained in the specification. The Nutritional data is indicative and provided as a guide only. 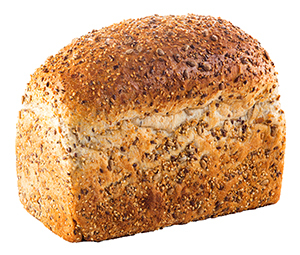 Banjo’s Stoneground Wholemeal High Tin loaf is made from stone-ground wholemeal flour and is baked high with a classic soft centre. Baked fresh every day, this classic brown beauty has plenty of goodness and flavour. Slice thick, toast and smother lavishly with your favourite spread. 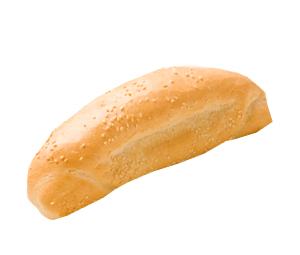 Who loves white bread? We do! 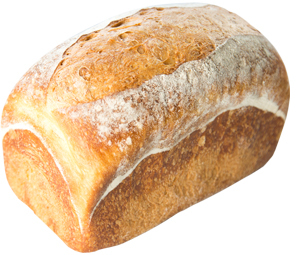 Banjo’s classic White Sandwich Loaf is baked with a soft crust and an even softer centre. Baked fresh every day this loaf is simply unbeatable. 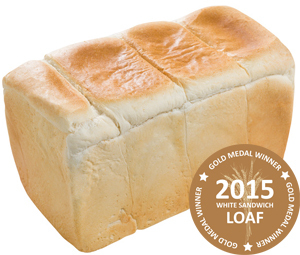 Our white sandwich loaf is a family favourite and our number one best seller. 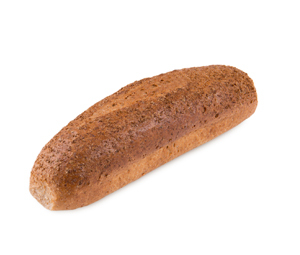 A great ‘everyday’ loaf, sliced for sandwiches or toast. Wheat flour [vitamin (thiamin), folic acid], water, yeast, iodised salt, soy flour, sugar, emulsifiers (471, 472e, 481), vegetable oil [antioxidants (319, 307)], calcium sulphate (516), antioxidant (300), raising agent (920). Contains: wheat, soy. May contain: egg, milk, sulphites, poppy seeds, sesame seeds. Our handmade Turkish Pitas have an authentic texture and flavour. They are lightly sprinkled on top with nigella and sesame seeds and then baked to perfection. Eat on their own or fill with your favourite salad ingredients. Available individually or as a 4 pack. Banjo’s plain Turkish Pita is preservative free. Wheat flour [vitamin (thiamin), folic acid], water, yeast, iodised salt, potassium iodate, sesame seeds, nigella seeds, egg, milk. wheat, sesame seeds, egg, milk. Our handmade Turkish pitas have an authentic texture and flavour. Now available with savoury toppings – try delicious Capsicum Spinach Turkish Pita, baked to perfection with a little extra. Eat on their own or fill with your favourite salad ingredients. Available individually or as a 4 pack. Our handmade Turkish pitas have an authentic texture and flavour. 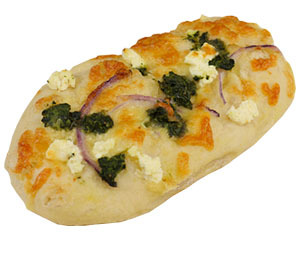 Now available with savoury toppings – try delicious Spinach Ricotta Turkish Pita, baked to perfection with a little extra. Eat on their own or fill with your favourite salad ingredients. Available individually or as a 4 pack. 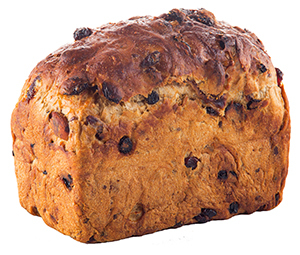 Banjo’s Fruit & Nut Loaf is jam packed with wholesome goodness! Loaded with dried apricots, figs, cranberries, currants and sultanas these fruits have been combined with whole roasted almonds and a nutritional mix of full grain seeds. Complete with a distinct cinnamon spice this loaf is pure genius – a healthy loaf packed with flavour! 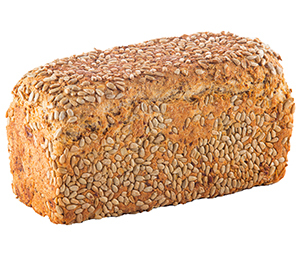 Contains: gluten, sunflower seeds, sesame seeds, almonds, sulphites, wheat. Other products manufactured on this site contain: poppy seeds, egg, soy, mustard, milk, lupin. Therefore traces may be present in this product. 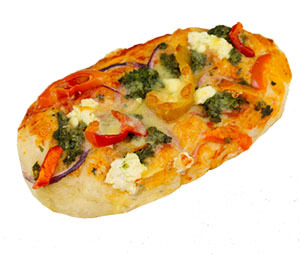 Picture this… one of the most popular flavour combinations on earth, available in a freshly baked package. 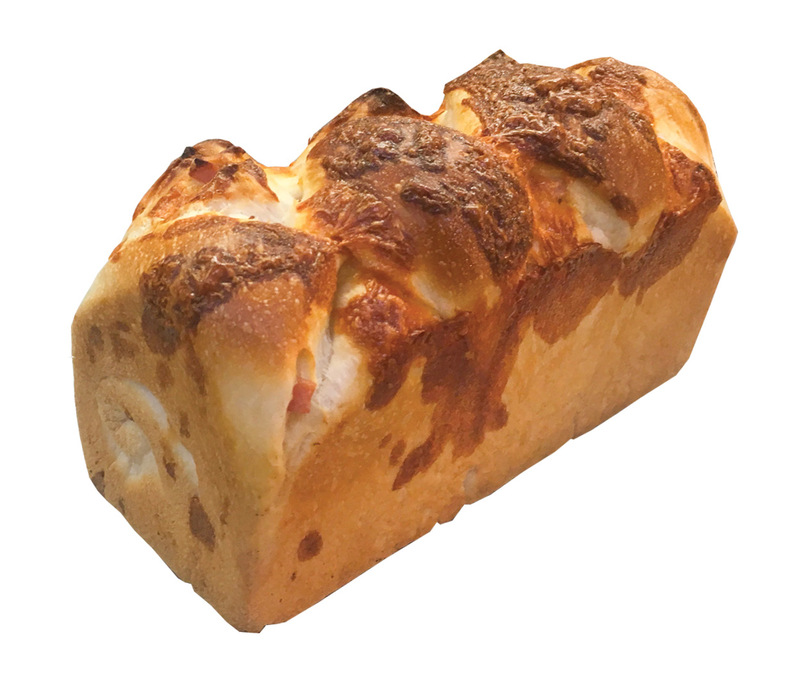 This Pullapart is a light and soft loaf packed with cheese and bacon pieces… YUM! Other products manufactured on this site contain: tree nuts, peanuts. Therefore traces may be present in this product. 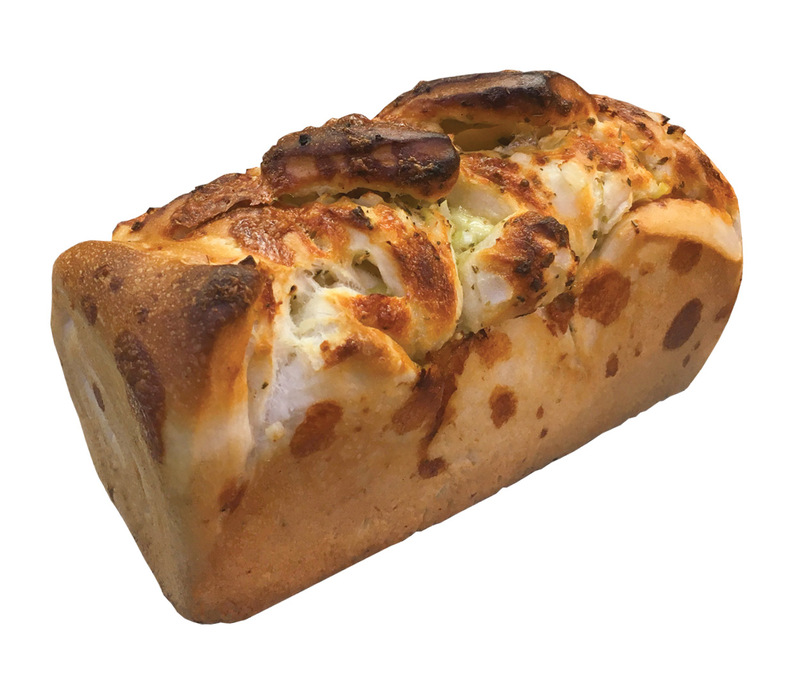 Our Herb and Garlic Pullapart contains real garlic and mixed herbs blended with tasty cheese and onion through a classic soft white loaf. 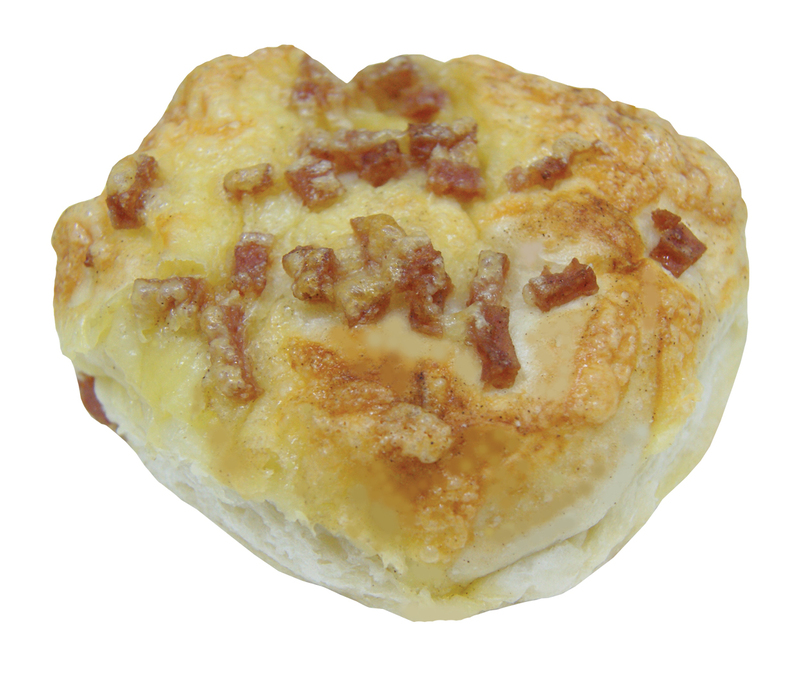 Made with Banjo’s traditional white bread and topped with loads of melted cheese & tasty bacon – yum. They even come in a Super Saver 4 pack! The loaf of goodness! Packed solid with seeds & grains, including malted wheat flakes, wheat fibre, rolled oats, soy, linseed, kibbled rye and polenta. Each loaf is rolled in sunflower seeds to give it a unique crust. 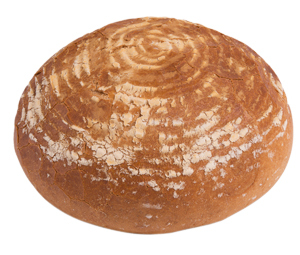 Finnen Bread is definitely one of our heartier loaves and weighs in at over 1kg. 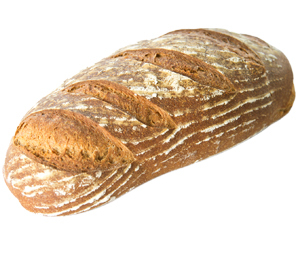 With a distinctive flavour Banjo’s Sourdough Rye Vienna loaf is renowned for its digestive health benefits and keeps you satisfied longer. Wheat flour, vitamin (thiamin), folic acid, water, rye flour, iodinated salt, wheat germs, dried rye sourdough, wheat malt flour, barley malt extract, dextrose, maize flour, acidity regulators (450, 341), thickener (412), emulsifier (472e), flavouring, antioxidant (300), enzymes, dried rye sourdough (milled rye products, rye malt flour, starter), yeast, vegetable oil (may contain soybean oil), emulsifiers (471, soybean lecithin,) milk solids, food acid (330), colour (160a), flavour, vitamin D.
Banjo’s Artisan White Vienna is a delicious traditionally handcrafted European style bread. Wheat Flour, Vitamin (Thiamin), Folic Acid, Water, Dried wheat sourdough, wheat flour, thickener (412), sugar, barley malt extract, acidity regulators (339, 341, 340), wheat malt flour, emulsifier (472e), dextrose, whey powder, vegetable oil, salt, flavouring, antioxidant (300), enzymes, Salt, Potassium Iodate, Wheat malt flour, barley malt extract, Yeast, Vegetable Oil (may contain soybean oil), Water, Salt, Emulsifiers, (471, soybean lecithin,) Milk Solids, Food Acid (330), Colour, (160a), Flavour, Vitamin D.
Our 18 Hour White High Tin is a delicious traditionally handcrafted European style bread containing lots of natural goodness particularly for digestive health. Whilst rye helps in the fight against diabetes and obesity. Popular with food lovers, sourdough is a traditional slow food with a 24 hour process from start to completion. Eating whole grains instead of refined grains lowers the risk of many chronic diseases. 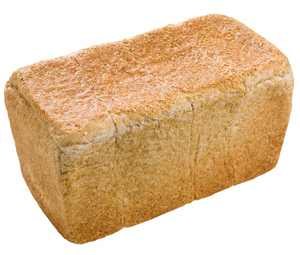 White flour (wheat flour, vitamin (thiamin), folic acid), water, yeast, sourdough ((rye flour, water, mature sour), acidifier acetic acid), vegetable shortening (sugar, emulsifiers (471, 472e, 481), vegetable fat [antioxidant (319)], vegetable oil [antioxidant (307)]), white bread mix (soy flour, emulsifiers (481, 472e), wheat flour, sugar, calcium sulphate (516), antioxidant (300), enzyme, raising agent (920), sea salt, potassium iodate), wheat starch, sugar. 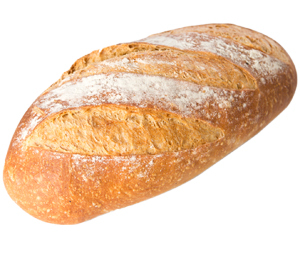 Sourdough breads contain lots of natural goodness particularly for digestive health. Whilst rye helps in the fight against diabetes and obesity. Popular with food lovers, sourdough is a traditional slow food with a 24 hour process from start to completion. Eating whole grains instead of refined grains lowers the risk of many chronic diseases. 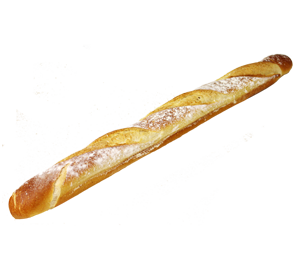 Banjo’s Artisan White French Stick is a delicious traditionally handcrafted European style bread. Ideal for sharing! Loaded with 12 types of wholesome grains, seeds and beans (soy), our Premium Ancient Grain Loaves are bursting with essential nutrients required to fuel your body and maintain health and wellbeing. 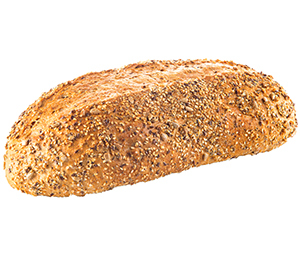 As part of a healthy diet, our Premium Ancient Grain Loaves are perfect to keep you feeling fuller and more energised for longer. Beneficial for people at all stages of life. 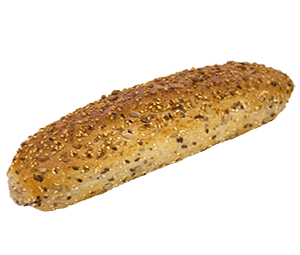 Contains: wheat, gluten, soy, rye, barley, triticale, sesame seeds. Other products manufactured on this site contain: poppy seeds, egg, mustard, milk, sulphites, tree nuts, peanuts. Therefore traces may be present in this product. Loaded with 12 kinds of grains, seeds and beans our Ancient Grain Rolls are full with important nutrients required to fuel your body and maintain a healthy lifestyle. 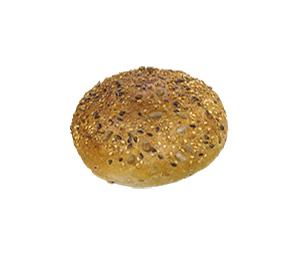 As part of a healthy diet, our Ancient Grain Rolls are perfect to keep you feeling fuller and more energised for longer. Enjoy as healthy lunch time salad rolls or with wholesome homemade soup to give you that midday energy boost! Loaded with 12 kinds of wholesome grains, seeds and beans our Premium Ancient Grain Loaves are bursting with important nutrients required to fuel your body and maintain a healthy lifestyle. 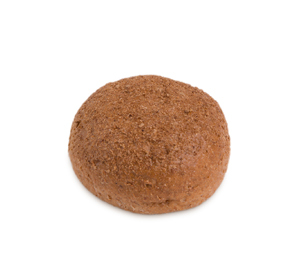 Banjo’s Wholemeal Long Roll is handmade from stone-ground wholemeal flour and is baked traditionally to give it its unique crust. Fill with your favourite salad ingredients to create a healthy lunch. 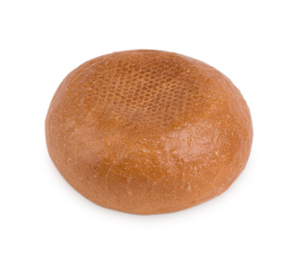 Banjo’s Wholemeal Round Rolls are a traditional crusty brown roll with a soft centre. Handmade from stone-ground wholemeal flour. Available individually or as a 6 pack and is great for packed lunches and salad rolls. 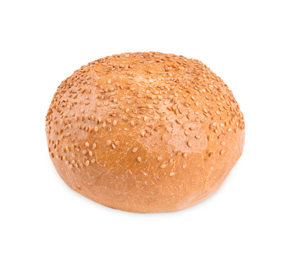 A traditional, crusty round roll with a fluffy, soft centre, available in a plain crusty top or sprinkled with sesame or poppy seeds. Comes individually or as a 6 pack – great to share at a picnic or BBQ. A traditional white crusty flat roll. Comes individually or as a 6 pack, which is great to share at a BBQ or for school lunch boxes. Contains: wheat, soy. May contain: egg, milk, sulphites. 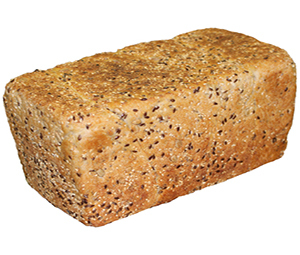 Other products manufactured on this site contain: Poppy seeds, sesame seeds, nuts and soy. Therefore traces may be present in this product. 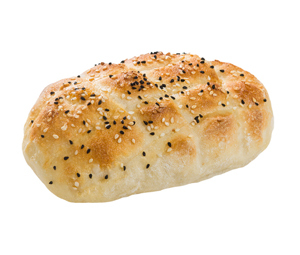 Banjo’s classic White Long Roll is the perfect accompaniment to a bbq or filled and added to a child lunch box.